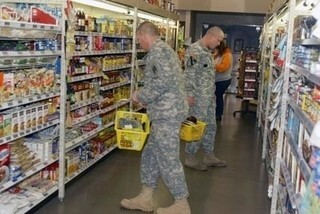 Before your next commissary shopping trip on Little Rock Air Force Base in Jacksonville, Arkansas, be sure to check out MyMilitarySavings.com to find all the latest deals on your favorite products. We are familiar with the challenges that many military shoppers and their families face in trying to find time to search for coupons and other discounts. That’s why we’ve gathered deals from a variety of trusted sources to create a convenient hub for accessing discount information on everything you may need from the commissary. We even provide handy links to the Defense Commissary Agency (DeCA), where you can add digital coupons directly to your Rewards Card for instant savings. My Home Base – Your custom homepage on our site, where you can set your location to Little Rock AFB and see important local store information, upcoming events, exclusive sweepstakes, and more. My Home Base Circular – A set of monthly interactive ads that you can print out or share on social media. My Shopping List – An application that you can use to build a digital shopping list simply by clicking any item from our site; you can then print out the list or take it with you to the commissary on your smartphone. If you’d like to learn more about the savings opportunities that we can provide you with for your next shopping trip to the Little Rock AFB commissary, enroll for your free MyMilitarySavings.com membership today.